Mazda is gearing up for a rapid selldown of 2018 Mazda6 inventory with the rather late introduction of the 2019 version this spring. Based on our analysis, cars equipped with the powerful 227 hp turbo can be a particularly good deal in April. In some regions, rebates have quadrupled from $500 to as much as $2,000. Here in Southern California, discounts up till now largely favored Sport & Touring trims with a $1,500 cash incentive. The better-equipped Grand Touring, Grand Touring Reserve, and Signature trims have thus far been limited to just $500. This month, offers on all three range-topping trims have surged to $2,000. If you've been in the market to buy a midsize car that doesn't disappoint when it comes to driving dynamics, we consider now an excellent time to buy the turbocharged 6. In our most recent review, CarsDirect's Steve Cypher noted the turbo "offers plenty of punch off the line as well as effortless passing at highway speeds." 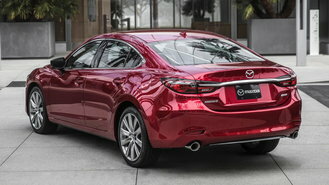 As before, Mazda also offers a $750 loyalty discount for current owners & lessees. However, last month's $500 trade-in bonus is gone. 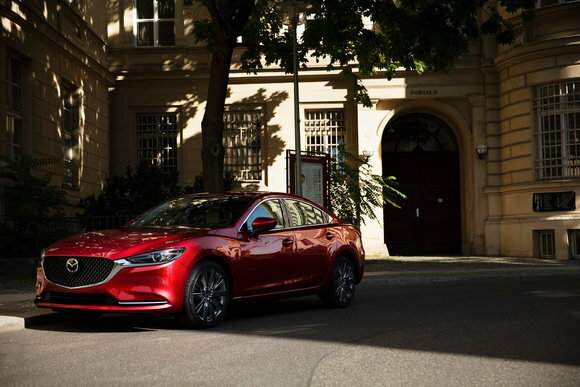 Those waiting for the 2019 Mazda6 can expect relatively minor improvements, like the addition of safety features previously optional with the i-Activsense Package now standard in the Sport trim. However, given the fact that Mazda has increased prices accordingly, the advantage in choosing the latest version may be minimal. While it's certainly a great time to buy an outgoing 6, we think it's worth noting that there are better deals to be had from competitors. For example, Chevy is offering up to 19% off 2019 Malibus this month when switching brands, equivalent to nearly $6,500 off the range-topping Premier model. Mazda incentives can vary by region, so be sure to check local offers carefully.